Here are the companies, technologies and trends that soared or sank in 2017. At the start of the year, Retail Dive laid out the biggest trends expected to disrupt and define 2017. Above all else, we anticipated mass store closures, consolidations and mall mutations. Now that the year is coming to a close, that prediction has come to life in a dramatic way — with the rate of retail bankruptcies and the number of distressed retailers eclipsing those during the Great Recession and an increased appetite for acquisitions. Make no mistake, it has been a year of transition for all retailers — from online to brick-and-mortar and everyone in between – and it hasn't been easy. But those that stood out for the better, did so by investing in themselves — in products, stores, experiences, technology and delivery. Others, however, made headlines this year for outdated business strategies that left some stagnate and others in bankruptcy court. Here are the retail industry's biggest winners and losers in 2017. This isn't Sam Walton's Walmart anymore. Since the $3.3 billion purchase of Jet.com late last year, and with it the hire of its founder Marc Lore, the big-box retailer has done some soul searching — and made big changes. These days "always low prices" isn't enough. One of the biggest changes has been the massive e-commerce push driven by Lore, now head of Walmart's e-commerce unit. Under his guidance, the big-box retailer snapped up a slew of popular digital brands, including Modcloth, Moosejaw, Bonobos and Shoes.com, which helped earn him the title of Retail Dive's Executive of the Year. He also helped establish Store No. 8, a independently operated arm of the company that susses out long-term applications of emerging technologies, with a focus so far on artificial intelligence (through the new Code Eight company) and virtual reality, with other sectors to come. "With the exception of Amazon, Walmart out-innovated every retailer under the sun," Lee Peterson, executive vice president of brand strategy and design at design firm WD Partners, told Retail Dive in an email. "Bonobos, Jet, ModCloth, BOPIS, home delivery, on and on. Walmart clearly drew a line in the sand and said, 'Dear Jeff, we’re going to compete!' Winner with a capital W."
Citi analysts solidified optimism in the company's digital ambitions in mid-December by upgrading the big-box retailer and noting that it is "emerging as a true challenger to Amazon." Walmart should get a lot of credit for reigniting the business after "years of incomprehensible poor performance," Mark Cohen, director of retail studies at Columbia University's​ Graduate School of Business, told Retail Dive in an email. And they did so not just by emphasizing innovation and digital sales, but also by improving on such fundamentals as store staffing and stocking. "Lots of kudos will be granted them for their enormous increase in online sales however that represents something of a ticking time bomb," he said. "At some point, without the benefit of an Amazon Web Services profit machine, they are going to have to face the fact that they have done nothing more than pour billions of dollars into 'appearing' competitive with Amazon." Not all stalwarts have successfully adapted to the new era of retailing — Macy's included. Much of that is due to the company's inability to redefine department store shopping in an era when shoppers are no longer wooed by massive mall anchors and are being lured by the convenience and service offered by specialty players like Ulta, Birchbox and Stitchfix. The department store chain kicked off 2017 with the intent to shutter a whopping 100 stores by the end of the year. In the process, the company has also been forced to sell off iconic properties, including one in Minneapolis. Executive shuffling has also taken Macy's in a new direction. Longtime CEO Terry Lundgren abdicated the throne in March, when Jeff Gennette was elevated from his post as president. For several months Lundgren continued on as the company's chairman, but earlier this month he announced his retirement from the company. Lundgren leaves as Gennette re-imagines the business, and many onlookers aren't optimistic it will salvage a chain that has been in decline — not just for the last year, but the last decade. 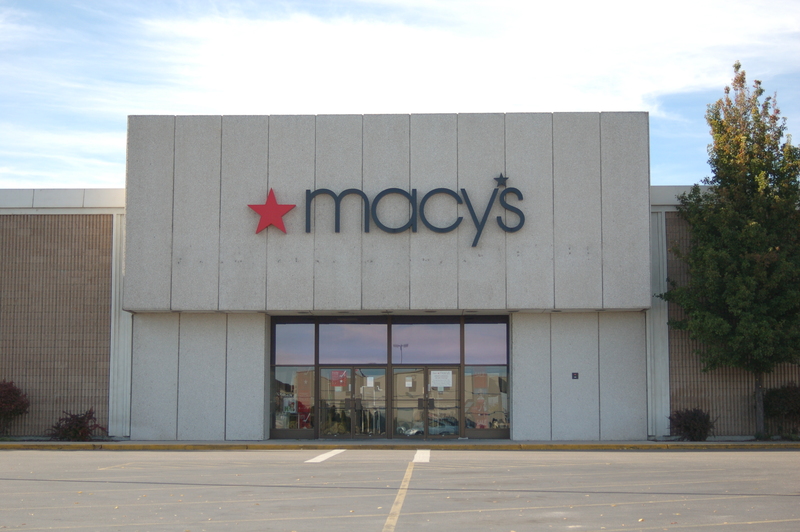 "Macy’s became a 'loser' when [it] consolidated all the localized Federated Department stores into one New York based brand (under Lundgren’s leadership) about 10 years ago," Peterson said. "Losing what made department stores so great in the first place and belatedly trying to make them into a specialty chain was the disastrous retail move of the century so far." Under new leadership comes a new vision focused on off-price retail — a sector that has been a bright spot for the industry. But moving in on TJX' turf may not play well, Cohen said. "Frankly Gennette’s re-imagining of the company as an off-price business is never going to succeed. You never succeed by chasing someone else’ success ala TJX," he said. "That they never mastered fast fashion as a strategy is a telling indictment of the past as well. I think Macy's is a loser in 2017 and will continue to be a loser in 2018 as well." Pure play is dead, but digitally native companies are finding new ways to thrive. Be it flagship stores, pop-ups or partnerships with retailers, these young companies are expanding into the realm of brick-and-mortar retail — and they're making names for themselves. Notably, Bonobos, known for its guideshop presence, and Modcloth, a quirky apparel retailer with a healthy social media following, were both brought under Walmart's e-commerce wing. While the culture may have changed at the businesses, the increased resources are a major win. "Showroom stores, like Bonobos or b8ta, are potentially showing us the future of physical retail," Peterson said. "If I can have reduced square footage, reduced labor, a better experience, a pick-up/delivery station and still keep my billboard up at key consumer touch points, I’m now competing with online retailers where they can’t: the consumers senses." Startup delivery companies also got a boost. Three-year-old Shipt was acquired by Target for $550 million to grow delivery ambitions. Other brands have used partnerships with major retailers to find growth. Mattress startup Casper, for example, partnered with Target earlier this year in a move that rolled out products to over 1,200 stores. "This isn’t goodbye…" The Limited promised customers as it shuttered some 250 remaining stores in January, just a few weeks before filing for Chapter 11 bankruptcy protection. But it was essentially the end, and the move kicked off a record year for bankruptcies, especially for specialty apparel retailers. The list has now grown to include Wet Seal, BCBG Max Azria, Vanity, Rue 21, Papaya Clothing, True Religion, Alfred Angelo and Styles for Less, not to mention smaller niche businesses. For Peterson, The Limited's bankruptcy stood out as the single most disappointing moment of the year. "That was the premiere women’s specialty brand only a few years back," he said. "For that brand to be totally lost in such a short period of time is a statement about who sold it and who bought it earlier this century." For many of these retailers, their demise rests in an inability to differentiate. "The core advantage of specialty or category specific retailers is the ability to deliver category thought leadership to a specific audience," Matt Sargent, senior vice president of retail for Frank N. Magid Associates, told Retail Dive. "In trying to be everything to everyone, many of these specialty retailers, who lack the size to compete with the likes of Amazon and Walmart, have found themselves caught in the middle between specialty retailers who understand their strengths (REI) and the giants." As retailers differentiate and more brands chose to sell direct to consumer, private labels have emerged as a critical piece of the assortment, and those capitalizing on the trend have done well this year. Amazon has pushed deeply into this area — in a bigger way than previously thought. The e-commerce giant now has 41 private label brands, according to branding analytics firm L2, which is seven more than Morgan Stanley noted earlier this year. Amazon's AmazonBasics private label goods dominate its private brand sales, with over $250 million in sales year to date, accounting for a whopping 85% of total private brands sales in the U.S. And apparel label Lark & Ro and baby care and vitamins brand Amazon Elements have each grown 90% from last year, according to a report by e-commerce analytics firm One Click Retail. Many products are available only to Prime members, helping expand the value of Amazon's annual $99 membership. "Private label allows retailers to provide an experience that can't be easily replicated," Sargent said. "An essential trend for 2018 will be seen with winning retailers [looking] to cultivate and promote their private label brands more aggressively. This is also a huge risk factor for manufacturers who will struggle to maintain equity in brands they have built over time." Target also made a major private label push this year. The company rolled out 12 new private label brands, including lines that cater to children with disabilities as well as lifestyle brands that aim to create an emotional connection with shoppers and hit on key category trends like athleisure, trendy home decor, women’s classics and modern menswear. From mass merchants like Target to specialty players like J. Crew, the key to thriving in 2018 will be all about promoting a unique brand ethos like Brandless, Retail Dive's Disruptor of the Year. Said Cohen, "Differentiate or die, 2017’s losers will continue to lose in 2018 absent effective and successful repositioning." The era of big-box stores is over. 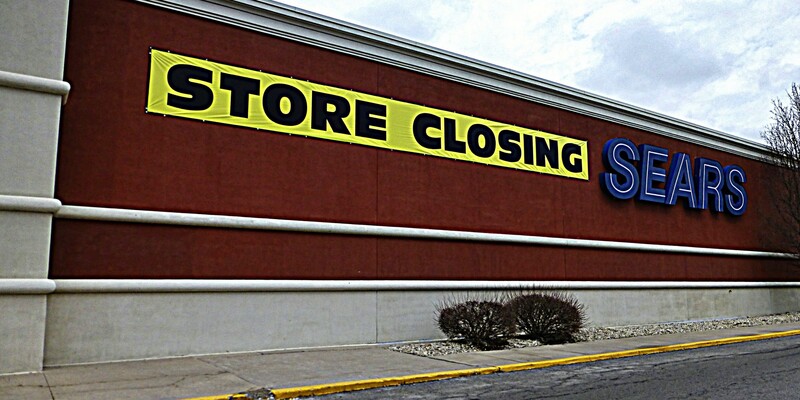 In fact, it's been over for a while, but retailers like Sears, Walmart and Macy's are finally having their day of reckoning after years of overexpansion. Combined, major retailers have closed over 5,300 stores, according to retail think tank Fung Global Retail & Technology's store closure tracker. While some of that is certainly due to bankruptcy and liquidation, most of these retailers are slimming down without going out of business. "Even if 8,000 stores close there are 1.4 million stores out there. We’re in a state where retailers are trying to turn stores from perceived liabilities into assets. Places to shop, to engage," Brendan Witcher, principal analyst at Forrester Research, told Retail Dive. "It’s hard to rethink with big footprints. When you have 10 customers to one associate, it’s hard to create that unique experience." Sears has made headlines for incremental closure announcements, which in near 400 for the year. Meanwhile, it unveiled mattress and appliance concept shops that range between 12,000 and 16,000 square feet. 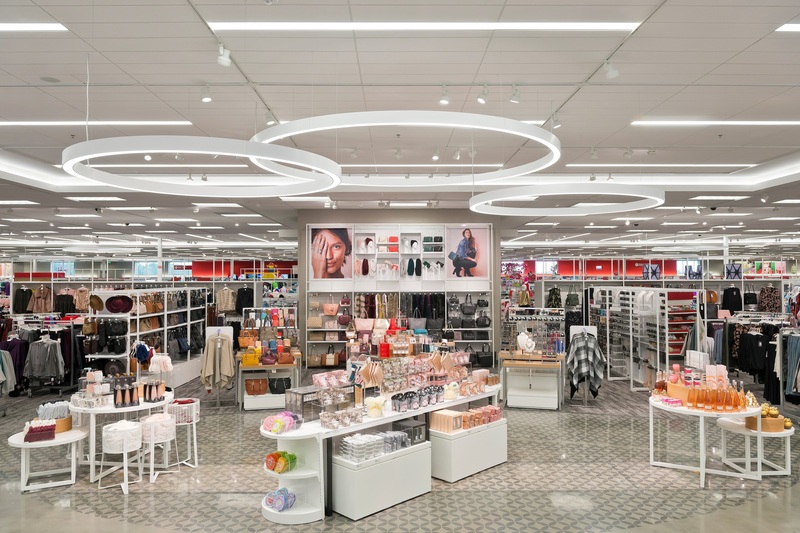 Big-box retailer Target also indicated a philosophy shift this year away from the sprawling store format. In March, Cornell unveiled a three-year plan to build out more than 100 small-format stores, 32 of which were constructed this year near urban, suburban and college campuses. The retailer also recently increased the number of stores it is remodeling, up to 1,000 of its 1,828 store footprint. 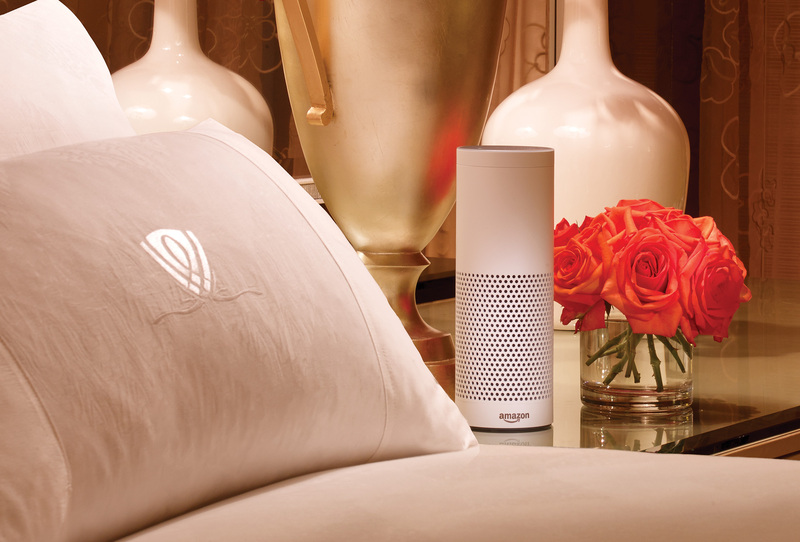 Artificial intelligence was a big win last year, and the technology has only become more critical for retailers on the quest for personalization and convenient — especially when it comes to voice. In May, eMarketer released a forecast estimating that 5.6 million Americans will use a voice-activated assistant device at least once a month this year, a 129% jump over the previous year. EMarketer also estimates that Amazon’s Echo speaker will attract 70.6% of users, while Google Home will garner 23.8% and smaller players, such as Lenovo, LG, Harmon Kardon and Mattel will make up the rest of the market. Amazon and Google especially have laid foundations for voice commerce to take off this year, Sargent said. "While this initial investment will take awhile to reap rewards voice enabled commerce (and other AI tools) have the potential to disrupt and disintermediate retail and manufacturing as we know it," he said. "This technology will change how consumers interact with brands and retailers. This creates an imperative for retailers and manufacturers to learn/better understand how this tech will change the way consumers gather information and make purchase decision." To Peterson, AI could be the biggest story in the history of shopping. "Taking convenience and ease to a new level, AI could change the way retailers market and who they market to, but will no doubt have the biggest effect on brands and who they market to," he said. "'Alexa, show me some coats.' 'Nuff said." E-commerce is nothing new, and yet some retailers continue to snub investments in the area — and its killing their business. Webpage performance continues to be "disturbingly slow," and some retail web sites fail to load elements such as images correctly on a regular basis, according to a study conducted earlier this year by Retail Systems Research (RSR) for e-commerce cloud platform provider Yottaa. RSR found that the average web site took 9.5 seconds to load on mobile and 16.6 seconds to load on desktop. Both of those figures are well above the default standard of three seconds, beyond which it is believed e-commerce site operators are under great risk of losing customers. What's troubling for retailers is the extent to which site performance threatens conversion rates: The report stated that other studies have noted that every second of web latency results in a 7% loss of conversion. According to that report, Express and One Kings Lane were the worst performers, but Sephora, Talbots, Eddie Bauer and Lululemon were all included in the 10 slowest websites. Clearly, this indicates that some retailers haven't made the kinds of digital investments that others have in order to survive. 2017 has been a year of changes in the CIO and CTO ranks. Just this week, CVS announced CIO Stephen Gold was leaving the company. Last month, REI hired Christine Putur as its new CIO to replace Julie Averill, who left that retailer earlier in the year to become CTO of Lululemon. And others, like Meijer, have restructured their entire IT departments. "Retailers who stuck to the mantra that their customers aren't going to shop online based on the POV that their category is best served in store versus online [lost this year]," Sargent said. "Amazon and others found ways to make it clear that no category is off limits."